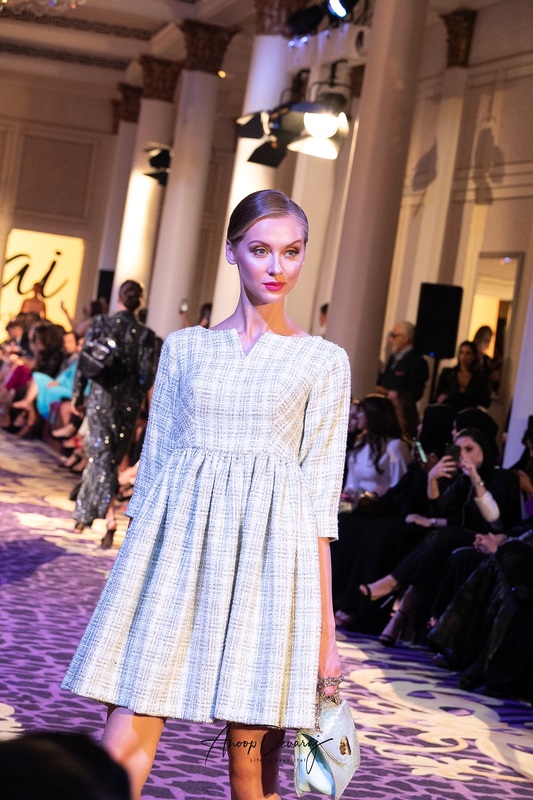 This year’s edition of The Royal Gala was once again held at the Palazzo Versace, under the patronage of Her Highness Sheikha Hend Faisal Al Qassemi. With an ongoing advocacy to expose the UAE to international fashion while at the same time promoting UAE fashion to the rest of the world. 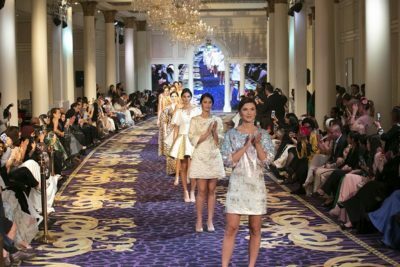 The by-invitation-only event was exclusive to say the least- Royals, key business people, media, buyers and digital influencers were present, and saw catwalk shows, as well as unique shopping opportunities and makeup competitions. 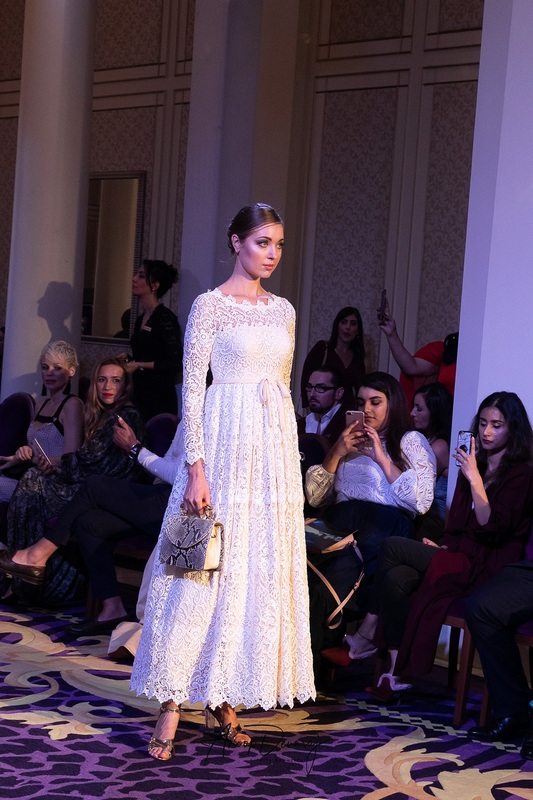 However, our unique collaboration with luxury accessories brands; Bymara Exclusive Shoes and Marajai Luxury Handbags, brought a Spanish flare to our label and fabulous showcase, which prides itself on the motto of, ‘looks West, but thinks East’. 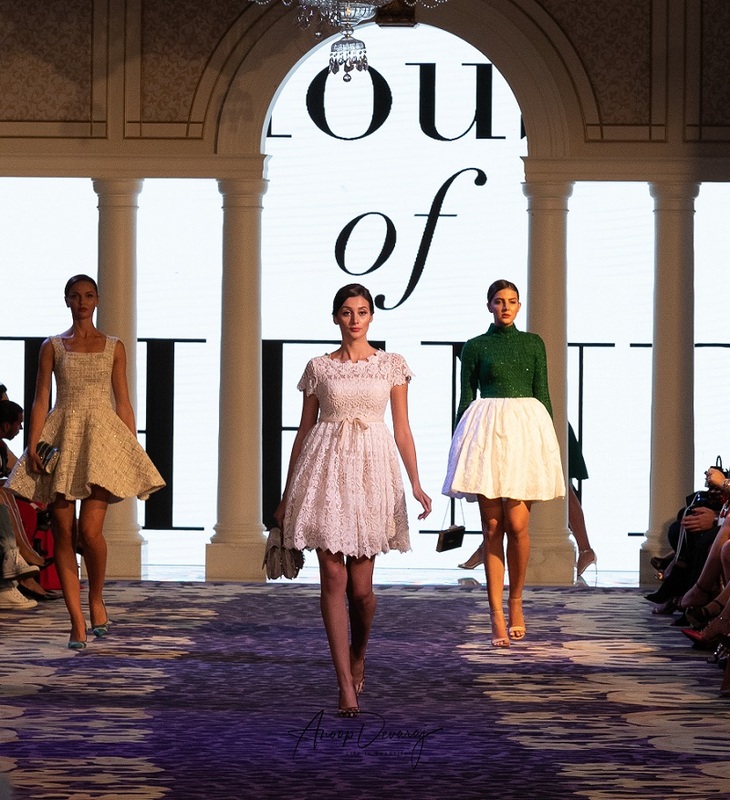 The collection told a story of sophisticated glamour, through stunning textiles, delectable details and intricate hand-embroidery. 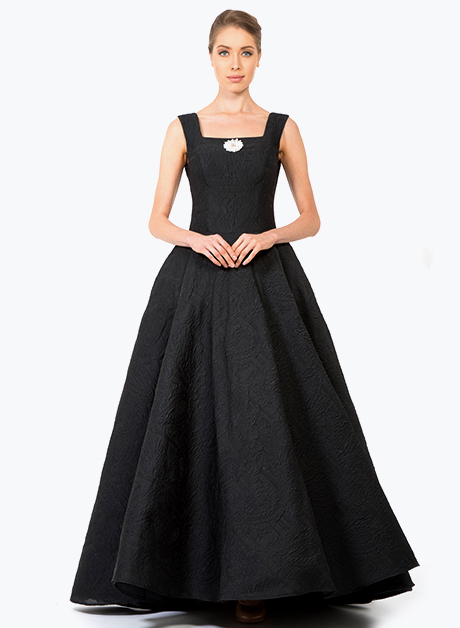 The collection comprised on twin sets, A-Line Tea-Dresses, luxury Abayas and gorgeous gowns, ensuring their is a style to suit all women, for all occasions. To shop our new collection, kindly contact us.